With 2018 now well under way, many of us will be checking ourselves on that New Year’s resolution to shed some pounds. 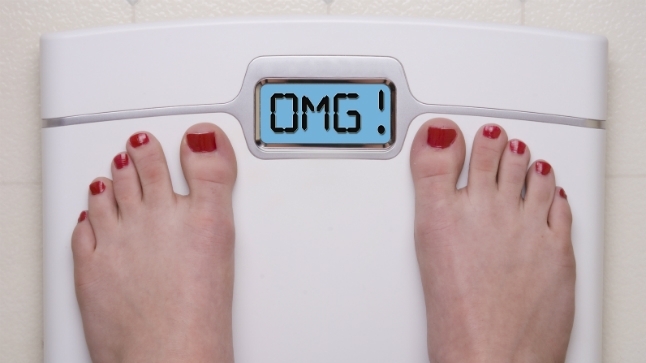 So why are some of us – try as we might – not seeing the numbers on the scale go down? Dr. Vijaya Surampudi, a physician with the Risk Factor Obesity Weight Management Program at UCLA Health, advises those who are earnest, but so far unsuccessful, in making progress on their weight-loss goals to focus on four aspects of their daily life. The first is food consumption – true food consumption. Surampudi advises people to begin logging everything they eat and drink. Tracking what we eat, she says, is a great teaching tool to determine where dietary changes are needed. Note-taking isn’t always convenient, but it's vital to understanding a person’s issues with weight. "Logging everything you eat can be a chore," Surampudi says, "but in almost all cases where a patient is struggling with weight loss, they're simply consuming too much without actually realizing it." A food log will identify the source of hidden calories. One quick and easy change: drink water and avoid sugary beverages. The second aspect is body composition. Surampudi notes that although many people focus on their weight and their body mass index (BMI), body composition – that is, the percentage of their weight that comes from fat, muscle and otherwise – can give us more information. People who are exercising but not seeing changes on the scale may be losing fat but gaining muscle, which weighs more than fat. Once dieters have sufficiently logged their food and drink intake and monitored their body composition, they’ll be better able to pinpoint the source of their weight loss problem. Those still unable to lose fat – even when expending more energy than they’re consuming (another important analysis) – should explore a third aspect: the possibility of a medical condition or medications contributing to the challenge of losing weight. At that time, Surampudi says, a physician’s assessment is required. Finally, Surampudi calls for patients to realistically put health first. This fourth aspect may be the most important. "You may not be able to reach the weight you were in high school, but if you have a healthy lifestyle to prevent the development of high blood pressure, diabetes or high cholesterol, you can still be healthy, and that's a win."